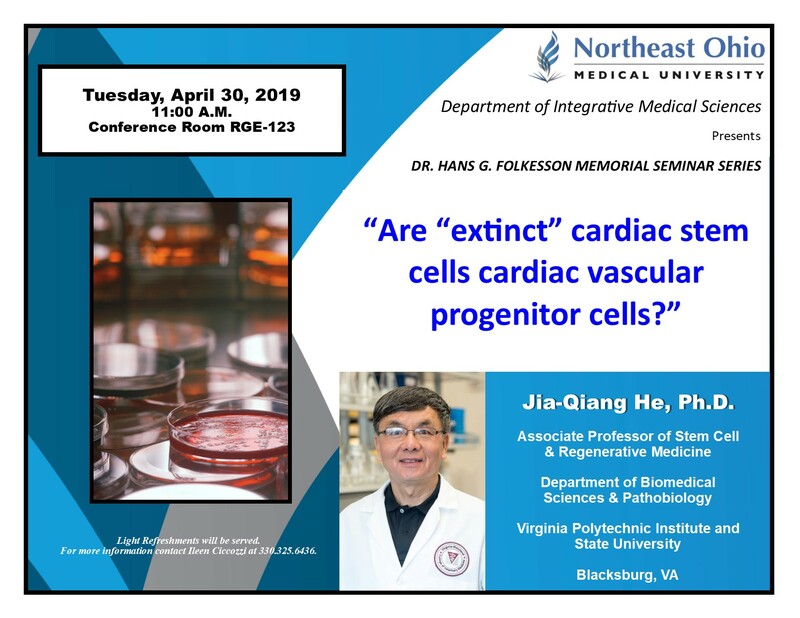 Presented by: Jia-Qiang He, Ph.D.; Associate Professor of Stem Cell & Regenerative Medicine; Department of Biomedical Sciences & Pathobiology; Virginia Polytechnic Institute and State University; Blacksburg, VA. Presented by: Katey Rayner, Ph.D.; Associate Professor; Director, Cardiometabolic microRNA Laboratory; University of Ottawa Heart Institute; Ontario, Canada. Presented by: Arshad Rahman, Ph.D.; Associate Professor of Pediatrics; Lung Biology and Disease Program; University of Rochester School of Medicine and Dentistry; Rochester, NY.